Description: Considered by some as a storehouse of wisdom embodied within its towering strength, the might Oak Tree stands strong in the warm sunshine of a bright summer day. 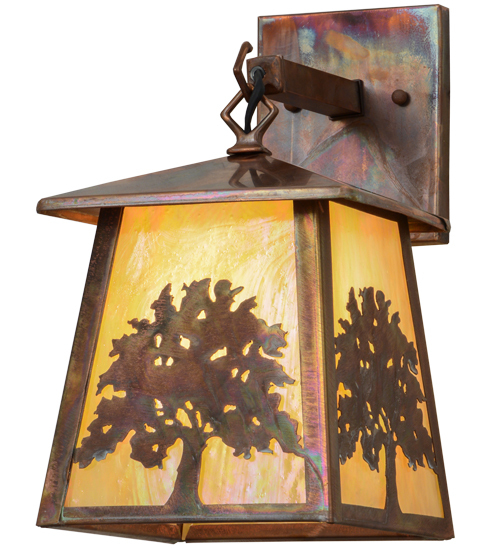 Custom crafted of Solid Brass, this sconce features Beige Iridescent glass which is complemented with a frame and hardware featured in a Vintage Copper. Hand made in Meyda's manufacturing facility at the foothills of the Adirondack Mountains.